ORANGE, NJ – February 15, 2019 – Governor Phil Murphy has re-appointedDr. 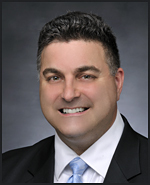 Joseph Juliano for a third term on the Board of Commissioners for the Housing Authority of the City of Orange, where he serves as vice chair. Dr. Juliano has demonstrated his commitment to the community in many ways. He has been certified as a public housing manager by the National Association of Housing and Redevelopment Officials, a lengthy procedure that he personally funded. He also established two scholarships for women at Essex County College and the Edward J. Bloustein School of Planning & Public Policy, Rutgers University, named for his mother, the Honorable Patricia Juliano, who was the first woman to be elected to the City of Orange Council. Last year he established the Kathryn Marie Juliano Art Scholarship in memory of his sister who died last year. It is offered through the Montclair Art Museum where his sister took classes.